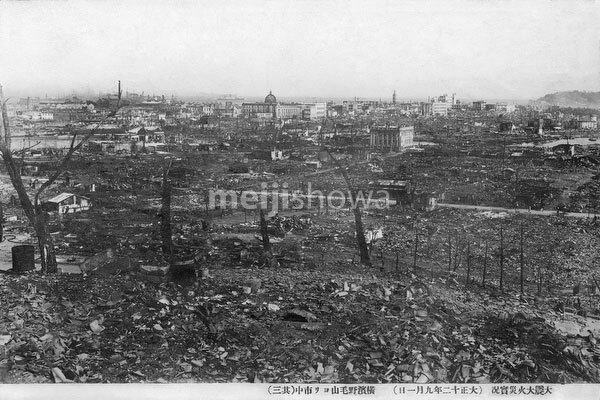 The ruins of Yokohama after the Great Kanto Earthquake of September 1, 1923 (Taisho 12). The photographer took this sobering photo from Noge-Yama. Photo number 3 of 4.